You see a map that contains territory of Russia. detailed map of Nikolayevka for gps. map of Yelshanka 1 cm to 1 km for you. topographic map of Vyazovoy 1 cm to 1 km free download. detailed map of Vyazovka displayed. actual map of Varvarovka with gps calibration displayed. detailed map of Topornino this. free map of Teplovka with gps calibration for gps. detailed map of Telyatnikovo download for free. topographic map of Tatarskiy Sayman 1 cm to 1 km free download. detailed map of Sosnovka и OziExplorer calibration here. topographic map of Pospelovka calibrated free download. 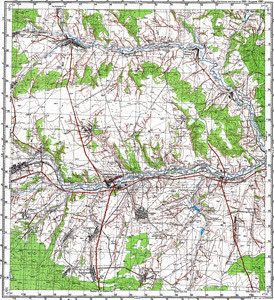 topographic map of Ponika calibrated free download. detailed map of Nikulino и OziExplorer calibration for you. interesting map of Nikitino calibrated download for free. actual map of Lynevka here. detailed map of Kuroyedovskiye Vyselki и OziExplorer calibration free download. free map of Kuroyedovo и OziExplorer calibration this.